A year ago something peculiar happened… It was a typical day and I had been praying for college ministry positions, when Lisa, after reading 'The Peace Child', turned to me and said "let's do it...let's move to a college town and become missionaries." This realization ignited a series of events which eventually led us to come on staff with The Navigators at Oregon State University and to live at the Sigma Phi Epsilon Fraternity as House Parents. What a wonderfully sovereign God we worship! So I guess we weren't quite back . . . I'm not even really sure if anyone reads this blog or even checks it too much but I'm sorry that I said we were back and then we pretty much weren't. 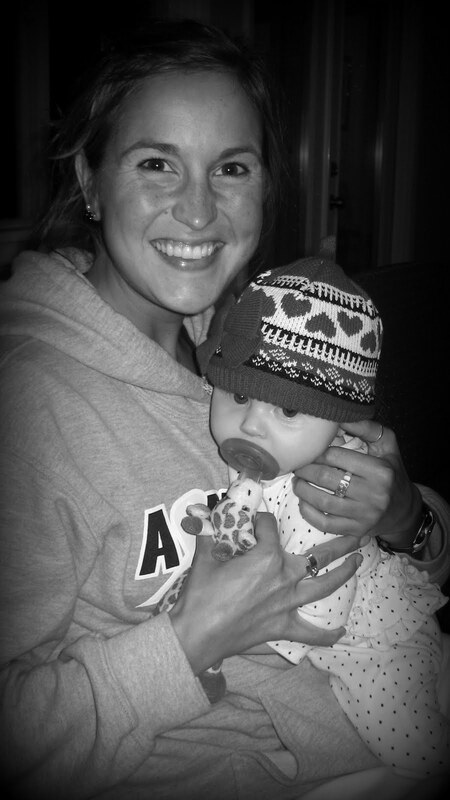 I have started a blog about Sadie's life as a fraternity baby for her all of our family members who don't live where we do so they can see pictures of her on a semi-regular basis. That blog has taken up most of my blogging time. However, if any of you would like to check this blog out by all means feel free! It is fratbaby.blogspot.com. Otherwise we will try to be better about posting this winter. Things have been going well here on campus. We have a great student leadership team this year which is really helping us as the number of staff we have this year is so much less than last (we went from 5 full time staff and 3 part time to 2 full time and 2 part time this year). We are doing a girls biblestudy for the girls leaders and a guys one with the guy leaders. We've also been going through the book of Mark in a biblestudy format for our larger group meeting and of course meeting one on one with students which is my (Lisa's) favorite. Especially because the girls are so great and come to our apartment so I can hang out with them and Sadie. It's the best of both worlds! It was obviously a busy summer for us in the Brucker household. Little miss Sadie is now 3 1/2 months old and we are having a blast with her. She is doing great and is so much fun! School has also finally started here at Oregon State and we are so glad. Campus is alive again and it's so wonderful to see our students again! We have started our GreekSide Nav Night (our larger group meeting on Tuesday evenings) back up again. This term we doing a bible study format and studying the book of Mark. Stephen is speaking at more Nav Nights this year which is fun and challenging for him. It's looking like it's going to be a great year! 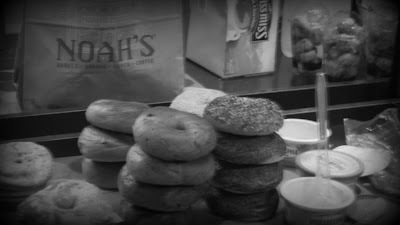 Noah's bagels graciously gives us their leftover bagels - yum! Sadie Maren Brucker arrived on June 25th at 11:14am! She was 8lbs. 2 ounces and 20.5 inches long. She had a little bit of a rough start with fluid in her lungs and a possible infection so we had to stay in the hospital 3 extra days. However, she is doing quite well now and we are so thankful. We are loving being her parents! Well the school year is pretty much wrapped up with most students almost finished with finals and graduation this Saturday. We had our end of the year BBQ this past Friday. We were able to send the seniors off into the "real world." We gave them a gift and asked them to share a favorite memory of their time with the Navigators and advice for those younger than them. It was neat to see the way God has worked in their lives reflected in their answers. I am 38.5 weeks pregnant which means I'm coming to the end of this pregnancy. This little girl could come any day now or wait for another few weeks, who knows?! With the school year coming to an end we are realizing how quiet and empty things are going to feel this summer. Only a few guys are living in the house over the summer which compared to 70 won't feel like any at all probably. Although it's a little sad we know this summer will give us a good opportunity to adjust to life with a baby and how to be a family of 3! We think we have everything pretty much ready to go so now we're in the waiting game. We are nervous and excited for this little one to turn our lives upside down! one of our students got us these baby TOMS - aren't they the cutest things ever! Last Tuesday evening we began our 6 week leadership, discipleship and evangelism training called Joshua Team. We have been pleasantly surprised by all of the students interested in participating and our first night we had around 20 students and last night 25! We also have 3 students who weren't able to come on Tuesday nights but are doing it one on one with a staff member. It's been great so far and we are excited to see what God does through this team of students. One of the assignments we have given these students is to read a portion of the Jesus Storybook Bible (pictured above) each day as a daily devotion. It is a great children's Bible that gives a big picture view of the Bible as a whole and at the end of each story in the Old Testament the author mentions something about the One who is yet to come. As it says in the introduction, "Every story whispers His name". We weren't quite sure how the students would respond to us having them read a children's Bible (would they think it too cheesy or beneath them?) but they are absolutely LOVING it! This Bible has been floating around the fraternities and sororities here and really creating opportunities for discussion. One student was able to share the gospel with his roommate after his roommate picked up the bible and was asking questions. Another girl left her room for a while and came back and her roommate had read 100 pages and was asking lots of really great questions about God. We have been surprised and excited to see the ways God is working unexpectedly! We can only get excited thinking about what will happen in the next couple of weeks. This past Tuesday evening we had our weekly gathering at our Campus Director's home and had a Passover Seder Celebration. We have done this in the past with our couples group from church and really enjoyed it. It is so powerful to see how the Exodus story and the passing over of the oldest Israelite firstborn points directly to Jesus. He is our passover Lamb and because of what He did for us we are passed over for the death sentence we deserve. So amazing. It is also a neat way to recognize the Jewish roots of Christianity and participate in a celebration that Jesus did 2,000 years ago. Most of our students had never even heard of a Passover Seder before so it was a new experience for all! We had some interesting mishaps with horseradish (some people got a little zealous with the amount they put on their Matzah bread - it's hot!) but overall I think it was a great way to remember what Jesus did for us and that this was God's plan all along. We had about 25 students all gathered in the living room. 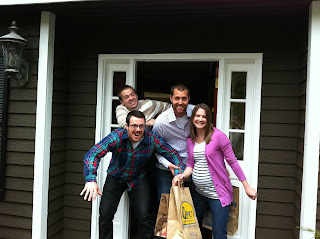 Also this weekend, we were able to celebrate Easter with my family in Portland. It was great to have the whole family together and we still did our traditional Easter Egg Hunt. Only now instead of candy the eggs have money in them! The four of us ready to go - even me at 31 (almost 32) weeks pregnant! We are finally recovering this week from a busy Spring Break! We were able to rent a house in Sunriver for Monday - Friday of Spring Break and we had 9 students come along with us. We all slept-in a bunch, hot tubbed, some went skiing/snowboarding, we shopped in Bend and explored Sunriver. We also spent a good amount of time just hanging out at the house watching March Madness b-ball, movies and reading a crocheting. Every night we all had dinner together and had a question of the day such as "what is one thing you want to have done before you die". It was a great time of just being relational and having fellowship with one another. Early Friday morning Stephen and I left and drove 7.5 hours up to Spokane because his mom's friends were throwing me a baby shower! The drive didn't end up being too bad and I'm very thankful we were able to do it now at 27 weeks rather than later on in my pregnancy. I know I'm only going to get more uncomfortable as time goes on! Here are some pics from the gorgeous and fun shower. It was such a blessing to us! Stephen and I joined the Navigators staff in June 2010 to do college ministry at Oregon State University. We moved to Corvallis and into the Sigma Phi Epsilon fraternity to be House Parents in September 2010. 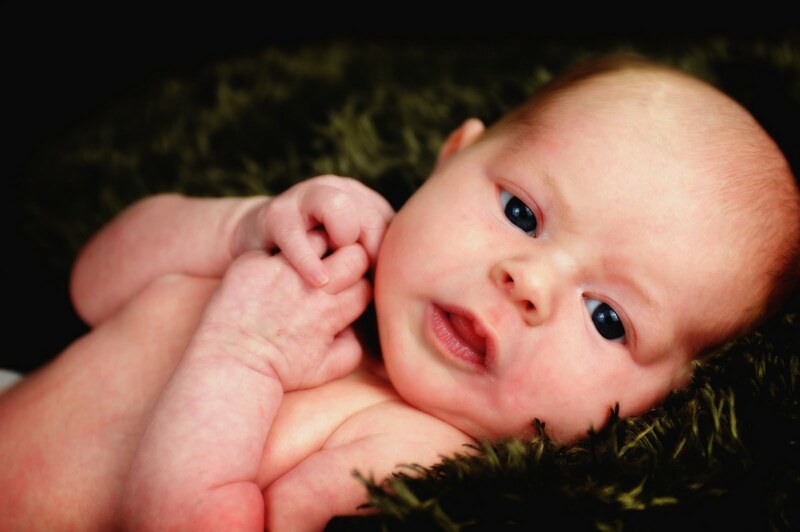 In June 2011 we welcomed our beautiful daughter Sadie Maren who will now be a frat baby!